December 6th, 2013: The Amis Music Festival in Dulan village, Taitung, Taiwan. Organised solely by the tireless efforts of Suming and a few friends. The enchanting and unique singing that made Enigma’s huge 1994 classic ‘Return to Innocence’ so memorable was in fact a sample of Amis singer Difang. Credit wasn’t given to Difang or the origins of his music until they later sued, and while it is not certain if this was deliberate or not on Enigma’s part, what is clear is that almost no-one worldwide links the well-known sound of the song to Taiwan and the culture of its original inhabitants. The success of the song, however, has lead to an increased sense amongst the Amis people of the global appeal of their music and Difang remains revered here. 20 years on since Difang’s sound anonymously wowed the world, where is Amis music? 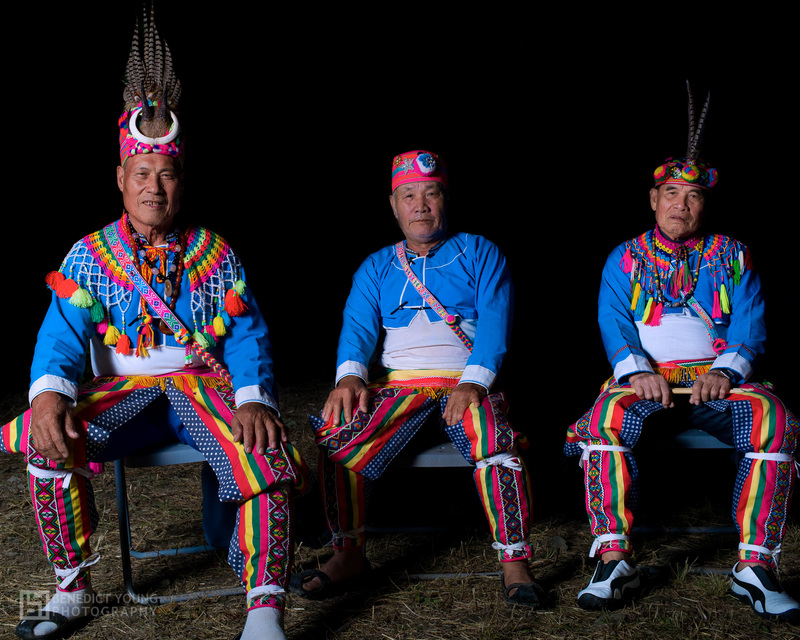 Suming is putting on a music festival in his home village, Dulan to celebrate the past and future of the Amis sound. The Amis Music Festival was the first of its kind. For aeons, the Amis people have held celebrations such as the annual Harvest Festival, where traditional singing and dancing is performed. However, a music festival (in the modern sense) of Amis music both traditional and modern has not been tried before. It was tricky for organiser Suming to even get across to the elders in the community what a music festival is supposed to be. Amis locals, from young to old, performed wonderfully and the festival featured an array of excellent shows from well-known musical artists of indigenous origin – including Suming (the organiser) and his band, A-do, Dakanow and the ever popular reggae band Matzka. However, there was one soulful, touching and thunderously impressive performance that stood out from them all – The Dulan Elder’s Band. The ‘Dulan Elders’ average around 80 years old, but perform with room-filling power and intense passion. The loudspeakers were merely an accessory it seemed as the band leader (also the village chief) boomed out traditional spiritual and drinking songs, including a rendition of Difang’s ‘Elders Drinking Song’, which was featured in the 1996 Summer Olympics. It was a privilege and a joy to be there to see it. Traditional Amis singing is cultivated in the fields and perfected over bottle of millet wine, it flows like the sound of waves in the ocean and its rhythms tangle and twist with the energy of ancient spirits. The sound is uniquely powerful and intricate and is known for its complex polyphonic counterpoint rhythm. Despite the complexity, the music style is not taught, but copied from the previous generation naturally by osmosis. While farming in the fields, the Amis people would sing to speak to their ancestors. Singing lifted their spirits and gave them a sense of togetherness. The youngsters learn singing like this, then it is then passed on to the next generation of youngsters in the same way. Needless to say, life has changed rapidly in the past couple of generations and not many have the lifestyle or interest any more to learn the singing in this way. Many youngsters move to the big cities for work, not to mention the fact that they are exposed to music from all over the world now which they often find that more appealing. Undoubtedly, in order to reach the astonishing level of ability the Dulan elders have achieved, it takes a lifetime of practice and sadly this is not likely to happen any more. Unfortunately, the true soul of the Amis singing style may not be with us much longer. The passing on of this singing in its truest form seems to have more or less ceased at the ‘Elders Band’ generation, who are now all octogenarians. It is timely then that Suming is trying to introduce as many interested ears as possible to this art form now. However, the festival is also about the future of Taiwanese aboriginal music. Suming himself fuses Amis sounds with an eclectic mix of electronica, folk and rock music. Others like Dakanow have sought a stripped-down and message-laiden style, while A-do’s performances are danceable, vibrant and fun. Clearly, the indigenous music is not dying, but changing. Here’s to next year then. Suming and his friends deserve a massive pat on the back after what they have achieved and after a well deserved rest, they hope to keep similar musical events happening regularly in Dulan in the hope to boost prosperity, pride and purpose in their beloved hometown.